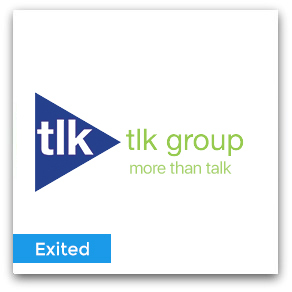 TLK Group, LLC (“TLK”) is a premier, call center services provider equipped with state-of-the-art Inbound and Outbound switch and dialing technology. Originally founded by executives of a Fortune 500 company, TLK has grown into a sales and customer service powerhouse, handling millions of calls annually. TLK has gained recognition by implementing an intense focus on quality and data reliability. TLK is the recipient of numerous awards for Call Quality and Data Integrity and was recently awarded a seal of approval from ATA/PACE for Call Center Services and Regulatory Compliance after successfully completing an extensive audit process.